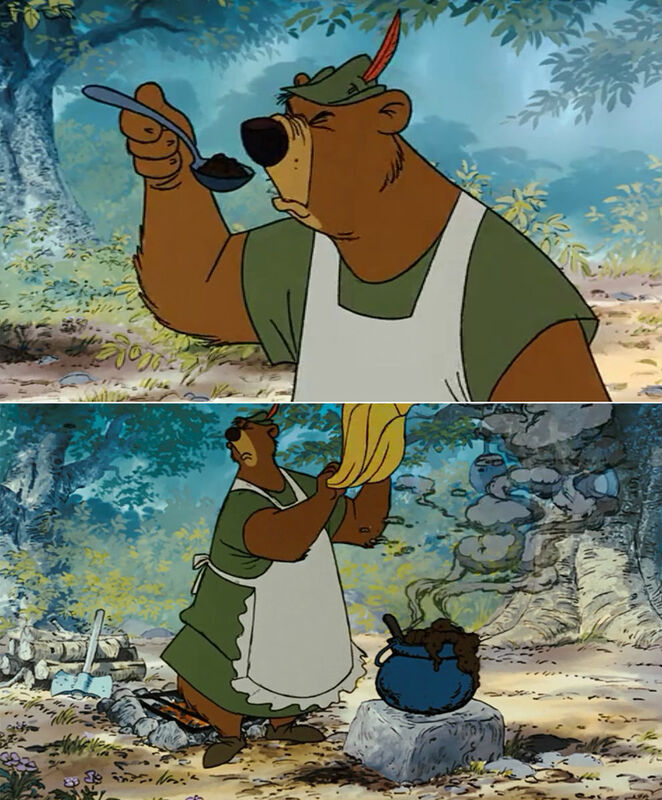 Not to be biased, but I think Robin Hood is the best Disney movie. Ever. Case closed. If you or your children haven’t seen it, please go watch it now. I was surprised to learn a few years ago that it was one of the lowest costing Disney films ever made because they reused drawings from other Disney movies ranging from the Aristocats to Snow White. Nonetheless, it’s still an amazing movie with a play on the classic Robin Hood story, but with adorable animals. From the dashing Robin Hood, lumbering Little John, loyal Friar Tuck, and beautiful Maid Marrion, to the thumb sucking King John, conniving Sheriff, and sneaky Hiss. All the characters are well rounded, the plot is hilarious, and the movie boasts an amazing soundtrack. Being an outlaw is a tough life though, which means it’s no surprise Robin and Little John’s dinner consists of veggie stew cooked in their woodland hide-out. For my take on it I used whatever was sitting in my veggie drawer or pantry and at the point of expiration. 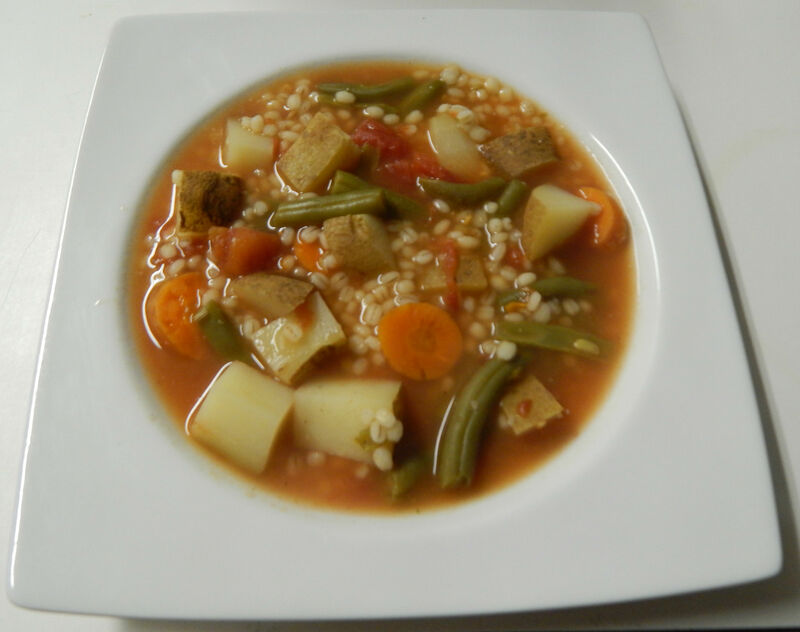 The stew ended up containing potatoes, onions, carrots, green beans, tomatoes, garlic, and barley. I love barley in stews because it adds a chewy texture while also thickening the broth. Delicious!